Missouri Wrestling Revival would like to welcome Eric Allen to our trading card set, as he takes the #19 card. Eric Allen has been a mainstay of the Midwest wrestling scene for quite some time. While he may not be very popular with the fans, his success is hard to argue. In the summer of 2009, Allen held the heavily disputed “Peoria Pride” championship. Many fans felt that he just created the belt and never actually won it. 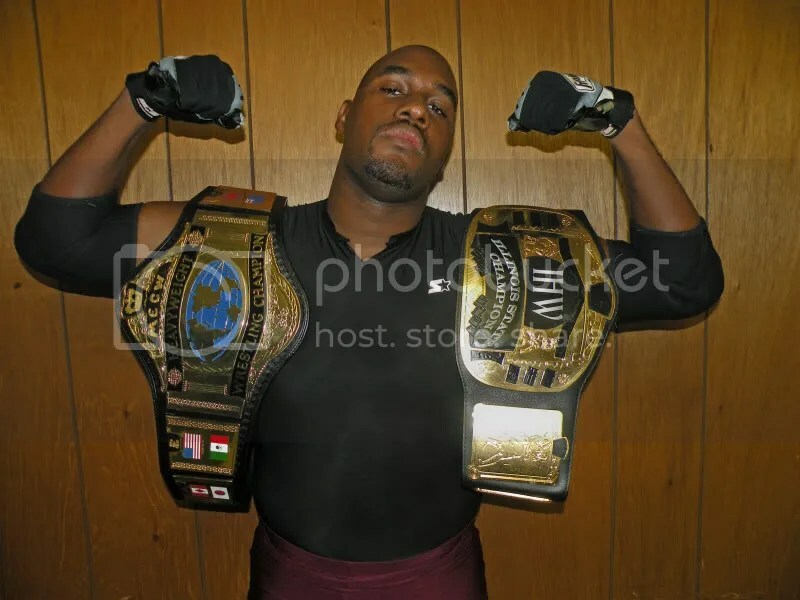 After he dropped the championship, he proved to his critics that he could win a legit championship when he picked up both the MECW Heavyweight title and the IHW Illinois State title in 2010. As this article is being written, he still currently holds both of those championships. The “Pride of Peoria” has developed a reputation for being very underhanded and cowardly in the ring. Referees usually don’t see what Allen is up to, but the fans sure do. Many may ask how he can be as successful as he is, with all of his character flaws? That’s easy. What Eric Allen lacks in moral fiber and sportsmanship, he makes up for with brains. He has used his high level of intelligence to trick opponents countless times into sealing their own fate. 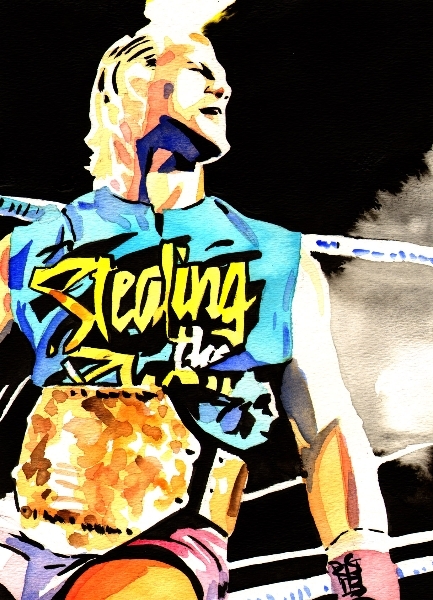 This very distinguised gentleman’s unique in-ring style and success have garnered him his very own card. Pick yours up today and come see Eric Allen as he will be appearing at both IHW and MECW shows this year. #18 MR Late Nite– “Hollywood Super Agent”For a complete list of Missouri Wrestling Revival trading cards as well as WWE , TNA and Japan sets check out the website Wrestling trading cards.com here. This entry was posted on August 27, 2010 at 12:01 am	and is filed under Uncategorized. Tagged: Eric Allen, IHW, MECW, MWR, MWR Trading Card. You can follow any responses to this entry through the RSS 2.0 feed. You can leave a response, or trackback from your own site.